Advanced Nutrients Grow, Micro and Bloom can be combined to provide specialized nutrients for plants in structural, foliar and blooming stages. Formulas can be custom mixed for specific applications by combining the 3 components to suit the needs of your plants' particular growth phase. Remember! 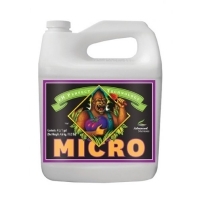 ALWAYS add Micro to your reservoir first, then Bloom and Grow.